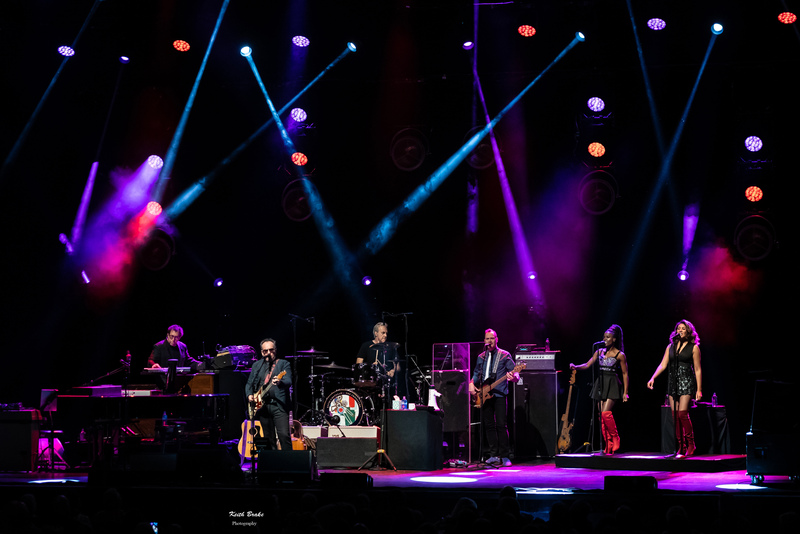 Elvis Costello performing Wednesday night at the Stifel Theatre in Saint Louis. Photo by Keith Brake Photography. In the ever evolving world of music and entertainment a ten year run would be a solid accomplishment and twenty is a career. But some artists endure the test of time and the ever changing tides of a fickle industry and ascend to icon status, but it takes a little more than twenty years to get there. This past Wednesday (11-21-2018) Stifel Theater hosted an artist who has stood the test of time. 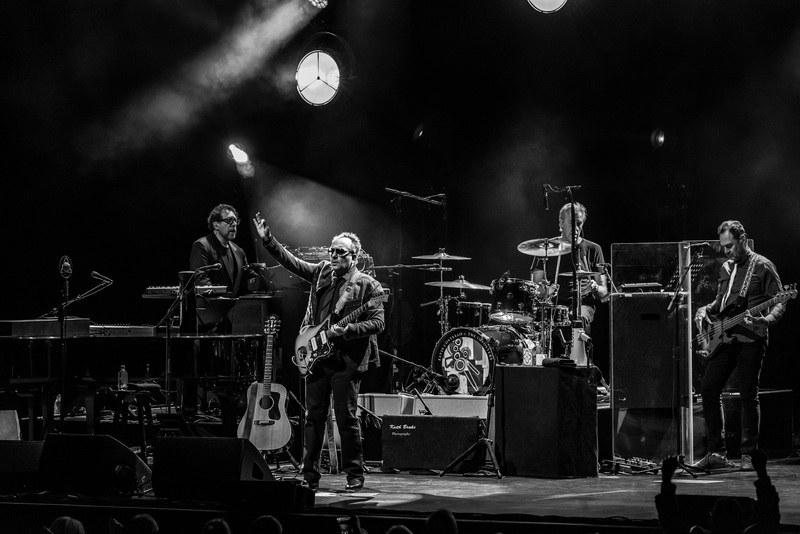 Forty one years since the release of his first album (My Aim Is True) Mr. Elvis Costello is still out touring for adoring fans and still releasing albums; Look Now, being his latest. 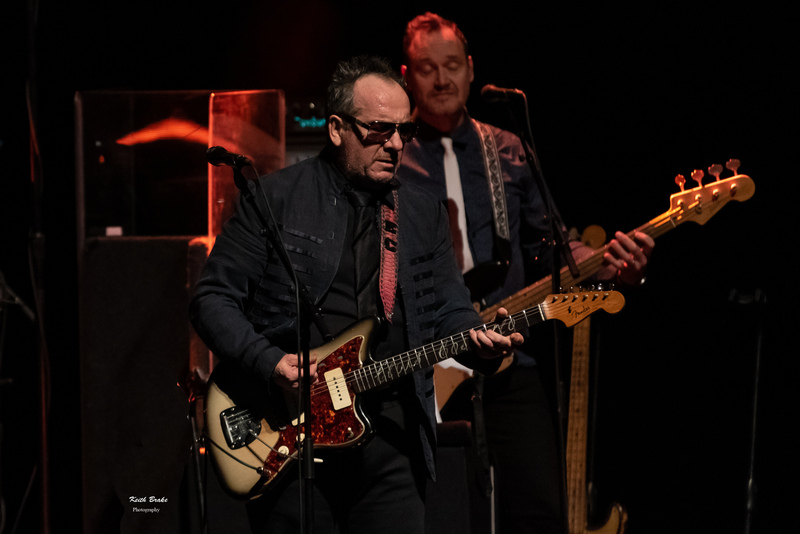 Elvis got his start in the London pub rock scene and went on to help pioneer the British Punk and New Wave movement and when you have over forty years of material to compile a set from you truly need no supporting act, so the evening was all “Elvis Costello And The Imposters”. The crowd came to life as Elvis entered from stage right, one single spotlight on Pete Thomas (drums) and the evening was off and running. Elvis’ band is comprised of a three piece backing group featuring Steve Nieve on keys, Davey Faragher on bass and the aforementioned Pete Thomas on drums. The live performances also feature some outstand backing vocals from a pair of tremendous talents whose names, sadly, I do not know. The ambiguity of this pair certainly does not detract from their contributions on stage as I found them to be quite a large part of the overall experience. The performance, as good as it was, did have a couple of hitches. Throughout the first half of the set Costello’s vocals were quite low and it was a struggle to understand him even when he was simply speaking into the microphone. At first I thought perhaps I was being over critical or that I, myself, was having a bad night but my thoughts were vindicated when the PA had issues large enough that Elvis could not be heard at all. To his credit and professionalism he turned this technical issue into an intimate moment by grabbing an acoustic guitar and sat at the front of the stage and gave a great acoustic rendition of Radio Radio. The evening was a solid performance and from my point of view Elvis has not slowed much over the years as a guitarist nor a vocalist, in fact I think his vocals have gotten stronger in time. If you were at the show I would love to hear what you thought, leave me a comment below the photo gallery! As always, thank you all for your continued support, hope you all have a great Thanksgiving!